Our mission is to provide socialization to our members and guests, as well as to provide a means of familiarizing our members and guests with current State and Federal Laws or mandates that impact us as older Americans. 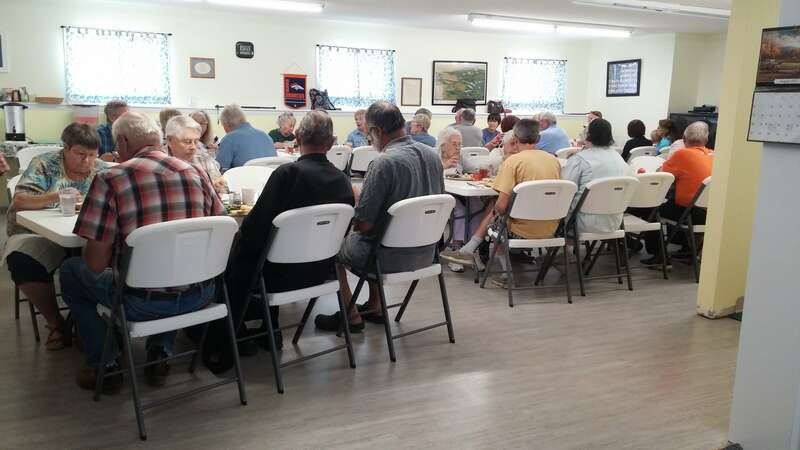 The Custer County Senior Center is a community-gathering place for people to socialize, eat nutritious meals 3 times a week, and to have a good time. The Senior Center operates a nutrition program providing subsidized meals (over 5500 meals a year) for senior citizens three times a week on Mondays, Tuesdays and Thursdays. That program is funded through the Upper Arkansas Area Agency on Aging. Meals on Wheels for homebound individuals are also part of that program. We operate with an all-volunteer Board and volunteers, except one paid cook that is employed by UAAAA. We offer many activities and services including lending library of books and movies, puzzles, painting classes, pool tournaments, silent auctions, County Nurse visits monthly, crafting days, and miscellaneous fundraisers and events. For 2018/2019 we are still working on getting the new asphalt layer completed for our parking lot, new commercial dishwasher, and new kitchen cabinets.